Over time, the country has witnessed a spurt in terror activities and lost several Army personnel. 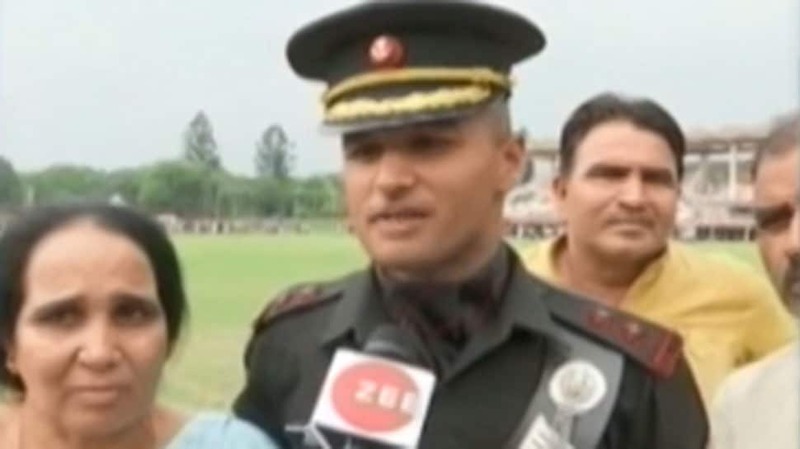 The six-year-old daughter of martyred jawan Deepak Nainwal paid tribute to her brave father who died in an encounter with the terrorists in Jammu and Kashmir's Kulgam district. Nainwal's body was brought to his hometown in Dehradun on May 21, 2018, for the last rites. Nainwal suffered serious injuries while he tried to encounter a group of heavily-armed terrorists. He was shot twice during the counter operation. After struggling for life for over a month, the jawan breath his last on May 20, 2018. He succumbed to his injuries at Pune's Command Hospital at around 10 pm. 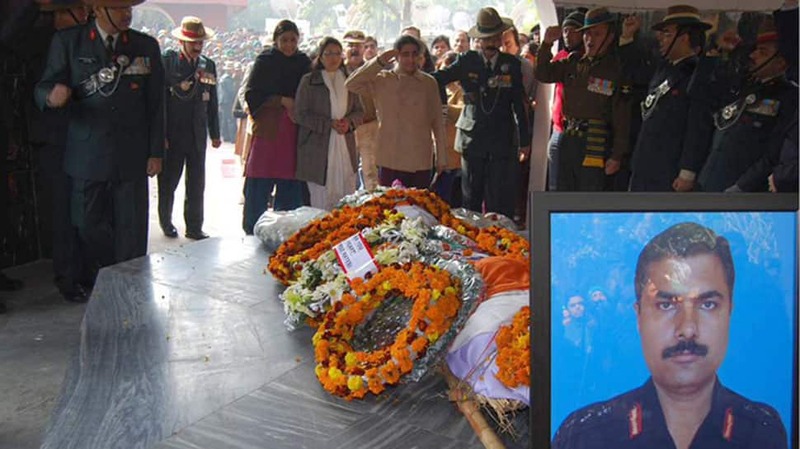 Major Kumud Dogra attends the last rites of her husband, Wing Commander D Vats, carrying her five-day-old daughter in her arms. Vats was killed in microlight aircraft crash in Assam on February 15, 2018. Major Kumud attempted his last rites in Army uniform and carried her five-day-old daughter in her arms. On February 15, 2018, reports of two IAF pilots getting killed in an aircraft crash had come from Majuli district in Assam. The debris of the aircraft was later found and a court of inquiry was ordered into the incident. 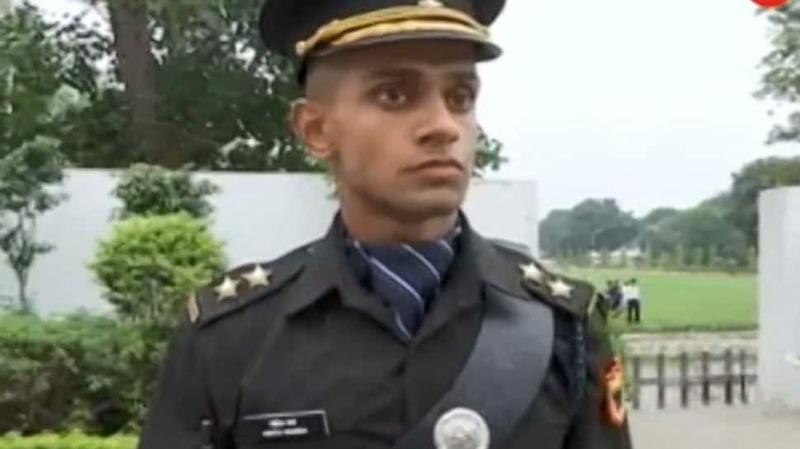 The son of BSF jawan Subhash Sharma, who was martyred on April 16, 1996, joined the Indian Army to serve the country. Lieutenant Kshitij Sharma was nine-month-old when his father was killed in a terrorist attack. 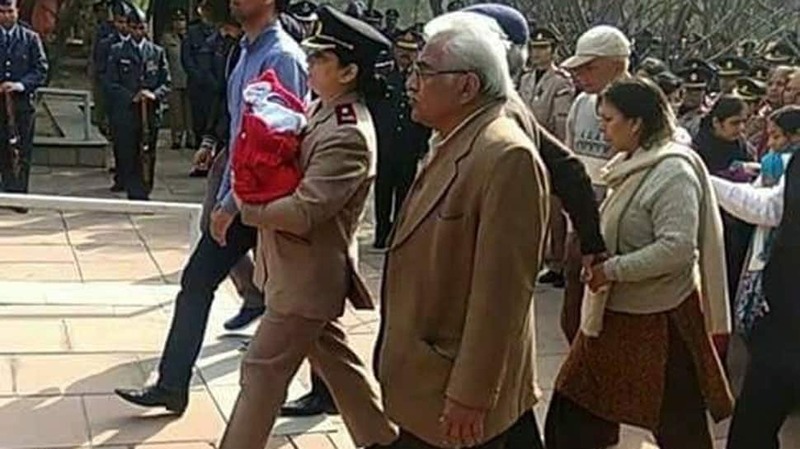 The daughter of Colonel Munindra Nath Rai broke down into tears after his body was brought to his hometown for last rites. 39-year-old Rai was killed on January 27, 2015, in a gun battle with Hizbul Mujahideen terrorists in Jammu and Kashmir. Commanding Officer of 42 Rashtriya Rifles (RR), Rai was killed in a fierce encounter with the terrorists whom he was battling in Pulwama district'a Tral. The son of a Kargil martyred joined his father's battalion after 19 years. A resident of Uttar Pradesh's Muzaffarnagar, Hitesh became lieutenant lost his father at the age of five. Lieutenant Hitesh's father Bachan Singh was in the 2nd battalion of Rajputana Riffles. He had died on June 13, 1999.